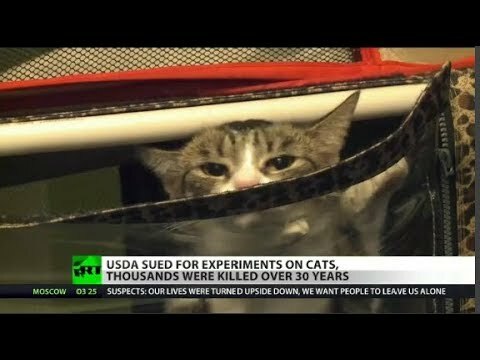 A non-profit organization is suing the United States Department of Agriculture for experimenting on cats. According to the organization the department has killed thousands of cats for over 30 years. At this time members of congress and activists are looking to put a stop to this practice. RT America’s Ashlee Banks reports.